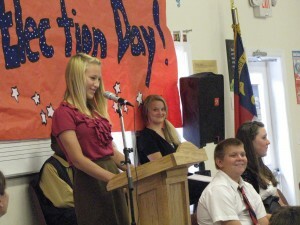 Abby Lafave ,elected school president, gives her campaign speech to students. 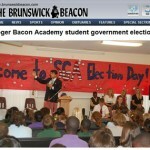 Yesterday, Monday, June 6, 2011 from 1:30 p.m. – 3:30 p.m. we held our Student Government Election Day festivities at The Roger Bacon Academy – Charter Day School in Leland, NC. We scheduled speakers who are well versed in the election process to speak about the importance of democracy and getting involved with elections even at the middle school level. Our speakers were Congressional Candidate Ilario Pantano; Mayor Pro Tem of Leland Brenda Bozeman; Chair, Brunswick County Commissioner William Sue. 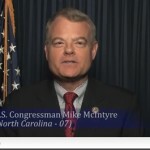 The middle school students also watched a personal video from Congressman Mike McIntyre. 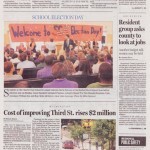 Student candidates for school president gave speeches and were involved in a town hall style Q&A. 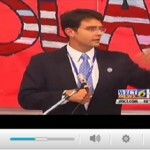 Students then voted in custom voting booths to elect their SGA leaders for the next school year. Congratulations to Abby LaFave for winning the presidency! Great job to everyone for a successful event!